Cloudy with showers. Thunder possible. High 52F. Winds WNW at 10 to 20 mph. Chance of rain 50%.. Partly cloudy. Low 37F. Winds SW at 10 to 15 mph. Helena High’s Hayden Ferguson sinks a jumper over Missoula Hellgate’s Fisher Richardson during Saturday’s game in the Jungle. The Bengals fell to the Knights 59-37. Helena High’s Conner Murgel drives in on Missoula Hellgate’s Matt Baldridge during Saturday’s game in the Jungle. The Bengals fell to the Knights 59-37. Helena High’s Alex Johnson spins away form Missoula Hellgate’s Fisher Richardson during Saturday’s game in the Jungle. The Bengals lost 59-37 to the Knights. HELENA — Missoula Hellgate High boys basketball coach Jeff Hays challenged his squad last week at the end of the practice to play efficient basketball. The top-ranked Knights responded by not only playing efficient basketball, but winning big toppling Helena High 59-37 Saturday afternoon on the road. Hellgate, currently ranked No. 1 in the 406mtsports.com boys basketball poll, shot a 11-of-11 from the free-throw line, and committed only one foul in the second half. Rollie Worster led the Knights with 22 points, Abe Johnson finished with 13 and Bridger Deden also scored in double-digits, finishing with 11. Their versatility combined with their length advantage made it difficult for the Bengals to establish an offensive rhythm during the game. Helena struggled against the Knight's size as they shot 14 of 41 from the floor or 34-percent on the night. "When they have size like Hellgate does, it makes the boys a little tight (at the start of the game)," Helena coach Brandon Day said. "We played a little bit tight, and it showed tonight. They played a little bit nervous around the rim, but against a good team, you can't miss easy shots." 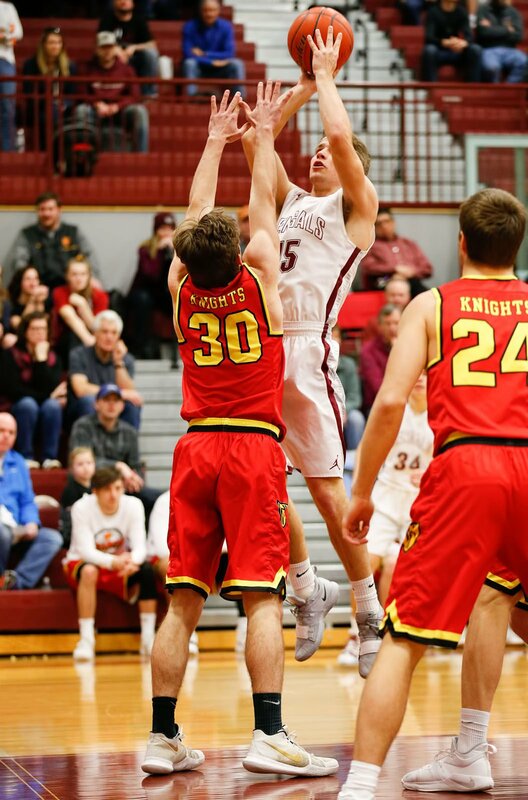 Hellgate was able to have early success on the defensive side of the ball, and aside from their length with Abe Johnson, who is their tallest player standing at 6 feet, 8 inches, the Knights were able to disrupt Helena's offensive rhythm. "Our success always starts on the defensive end, and I thought in the first half our team was very solid," Hays said. "I didn't think our team played terrifically, but we played very solid. We had some lapses and a couple of breakdowns, but overall, we guarded the basketball and made it difficult for them to get to the rim. When we did that, we had the luxury of having someone that is 6-8 who could protect the rim without fouling." In deep contrast to the Bengals struggling from the floor, the Knights shot 22 of 40 from the floor, 11 of 11 from the free-throw line and committed only six fouls. Connor Murgel was reduced to scoring only seven points, and Pierce Brown led the Bengals with 11 points. The two players scored 18 of Helena's 37 points against the Knights. The perfection from the free-throw line was indicative of the team's growing confidence that came from playing efficient basketball, according to Day. "The way we shot the ball tonight comes with confidence, poise and maturity," Hays said. "We had some opportunities early in the game to score around the hoop a lot. Whenever you see the basketball go through the hoop, it doesn't matter if it is a free throw, a field goal or a three-point shot, it gives you confidence."